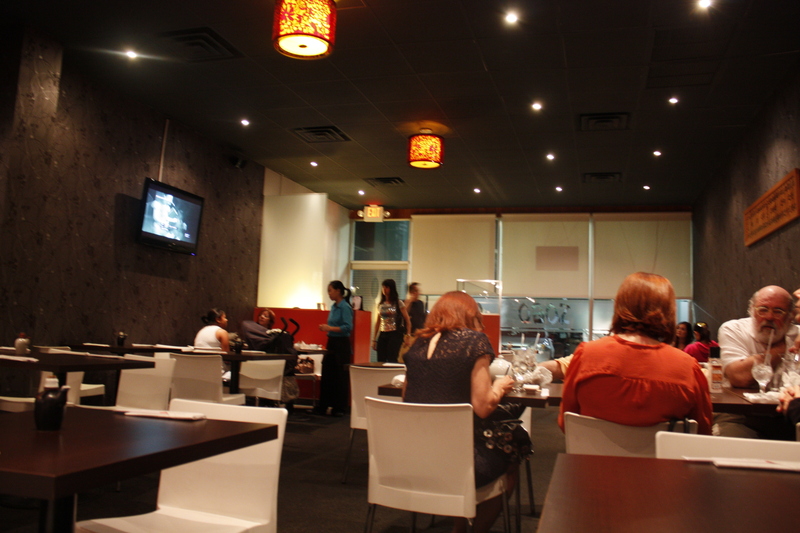 On a rainy evening, we caravanned over to Plaza San Francisco in Rio Piedras to try Sogo Asian Bistro. 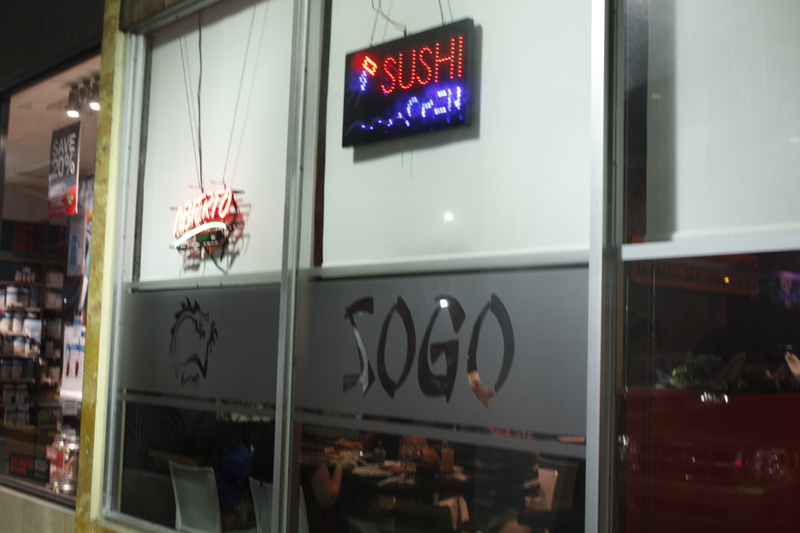 Sogo is a two-year old sushi and Pan-Asian restaurant is located at the Plaza San Francisco and open until 9pm weeknights and 9:30pm on the weekends. 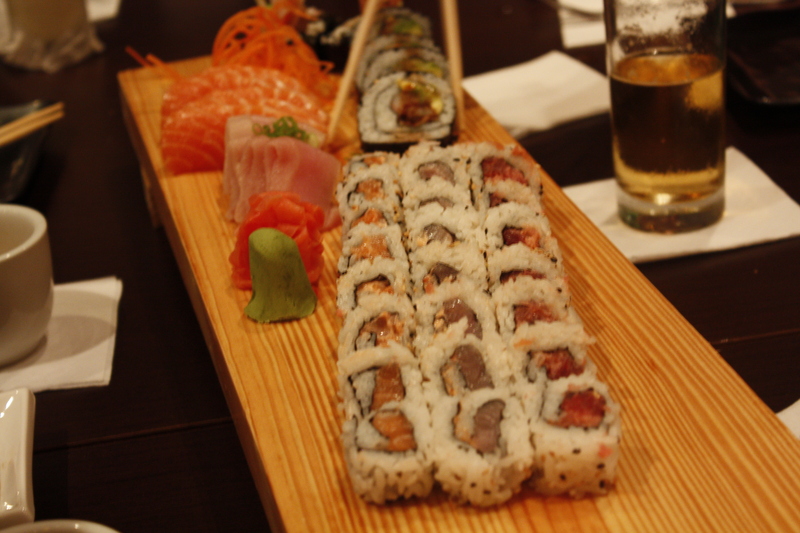 Through SAB, long time Puerto Rican residents Ken and Wei provides some of the Island’s freshest quality sushi and authentic Chinese dishes in a simple, yet zen ambiance. 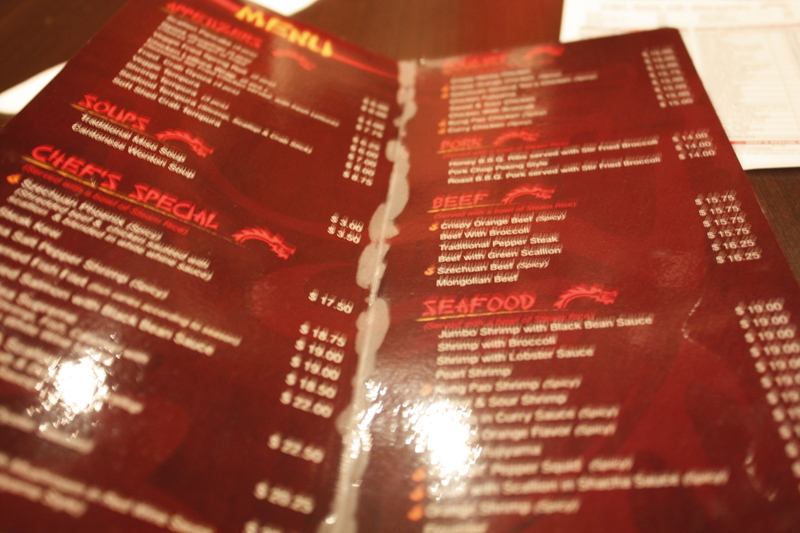 Sogo Asian Bistro’s menu features proteins beef, chicken and seafood in the form of noodles and rice dishes. 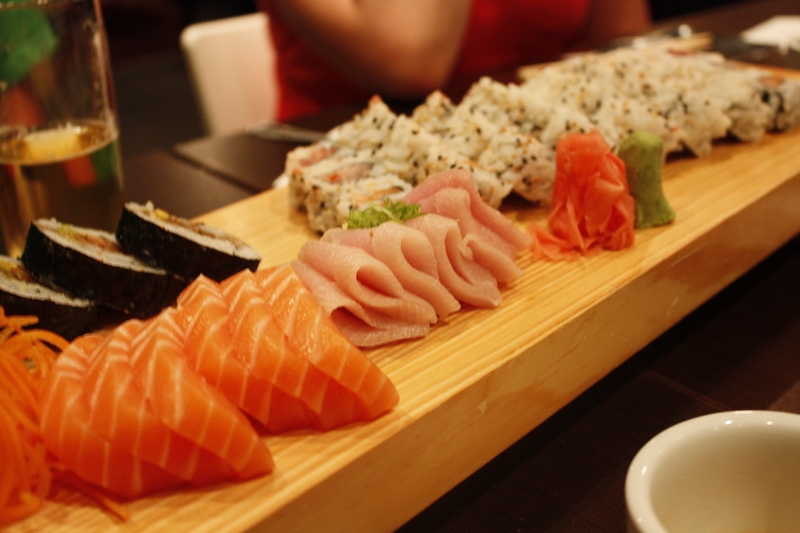 They also have an extensive sushi menu. 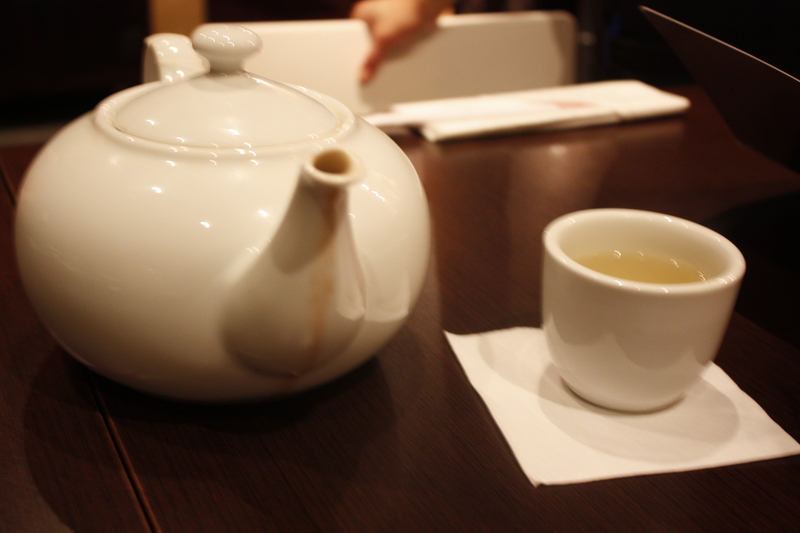 We started off the meal with aromatic and anti-oxidant rich Jasmine tea. 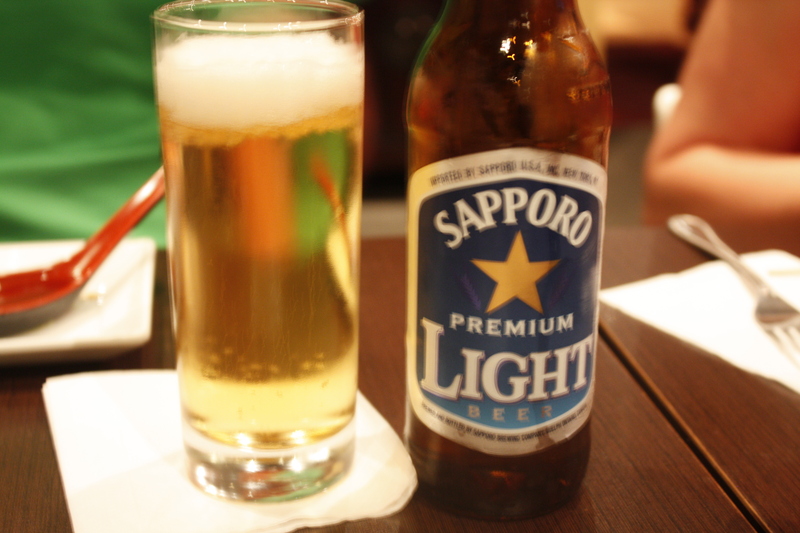 In addition, some of our party had Sapporo Light beer. 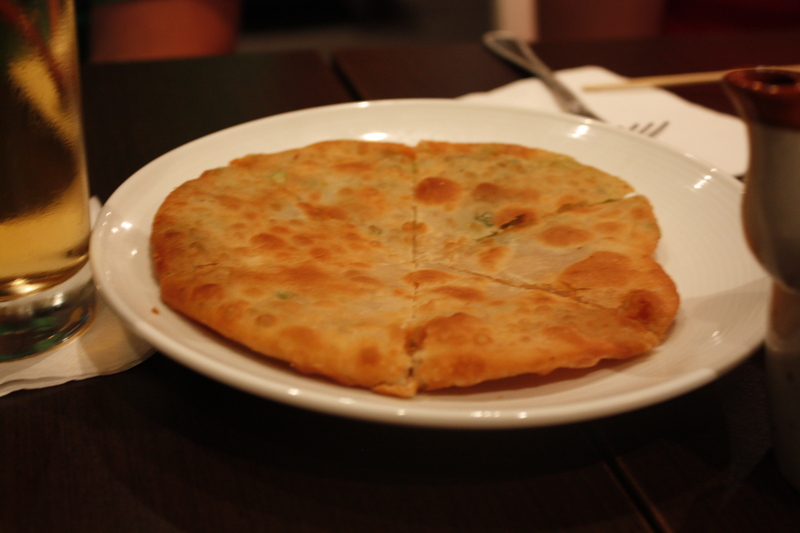 Sogo’s scallion pancake ($6.90) was nicely crispy on the outside, tender on the inside and the scallion flavor fragrant. 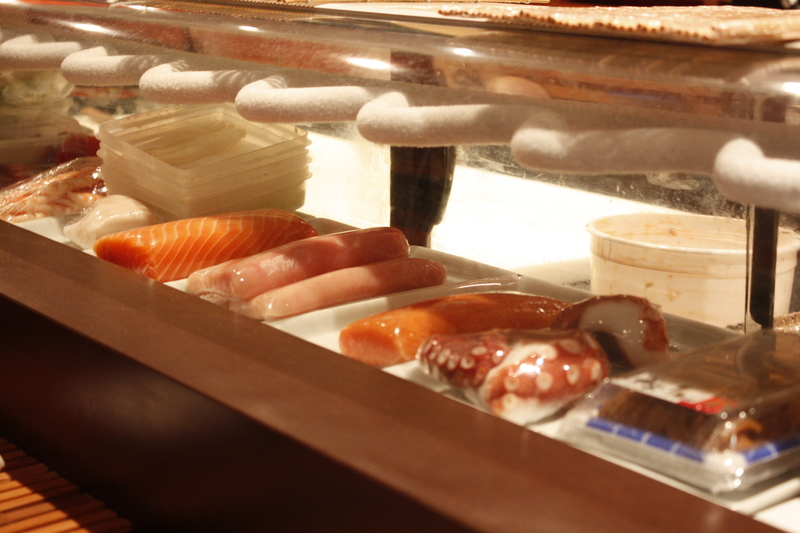 Sogo’s fish, tuna, yellowtail, salmon, shrimp, squid and octopus all looked and tasted exceptionally fresh. 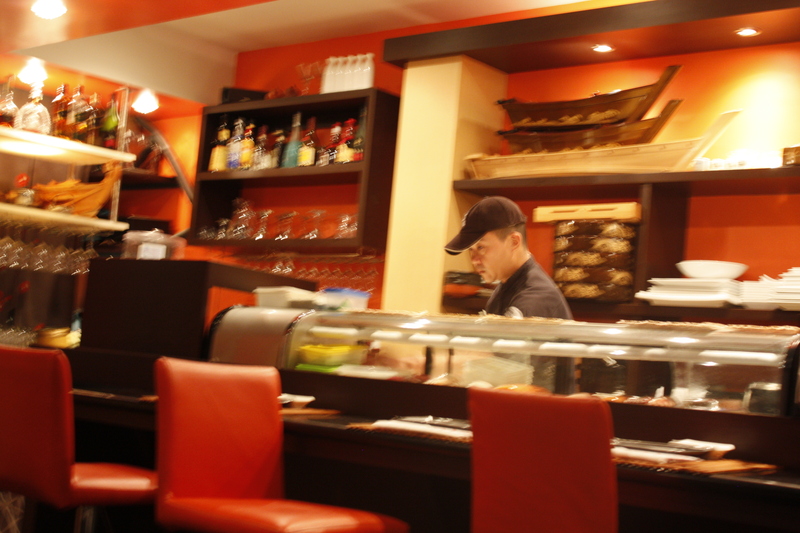 One of the brothers was behind the sushi counter carefully crafting each sushi order. 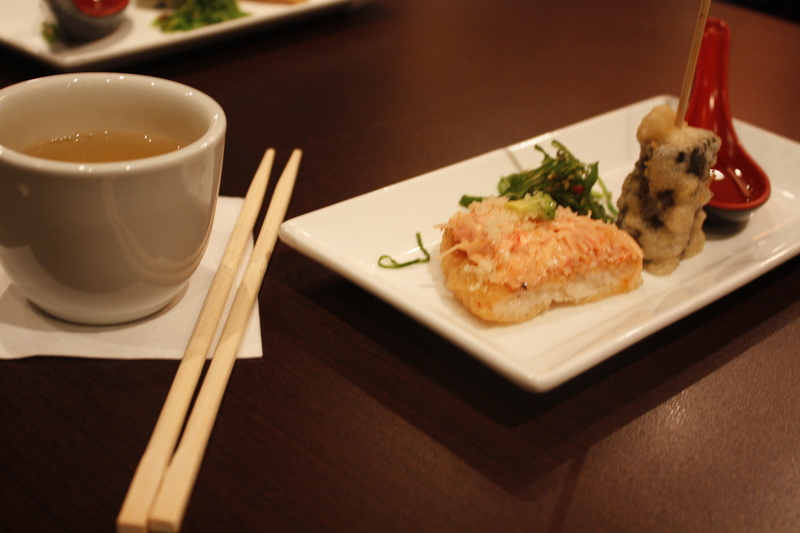 We deeply enjoyed a slice of sushi pizza, fried rice patty covered with a spicy mayo and crab mixture. 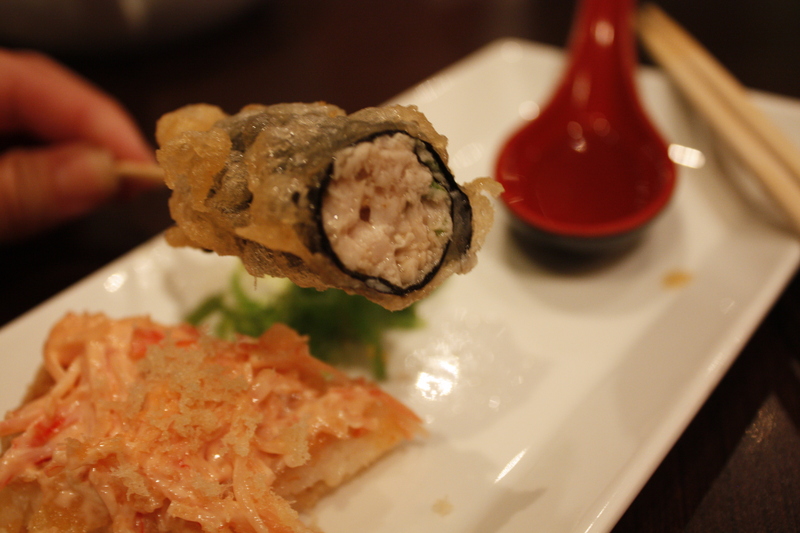 The meat stick covered in nori was super juicy and had nice textural contrast with the fried tempura. Dipping the stick in a bit of light soy sauce enhanced the umami flavor. We were accidentally brought another table’s volcano roll (with crab, spicy mayo and cucumber) and tuna avocado rolls covered in black and white sesame seeds. 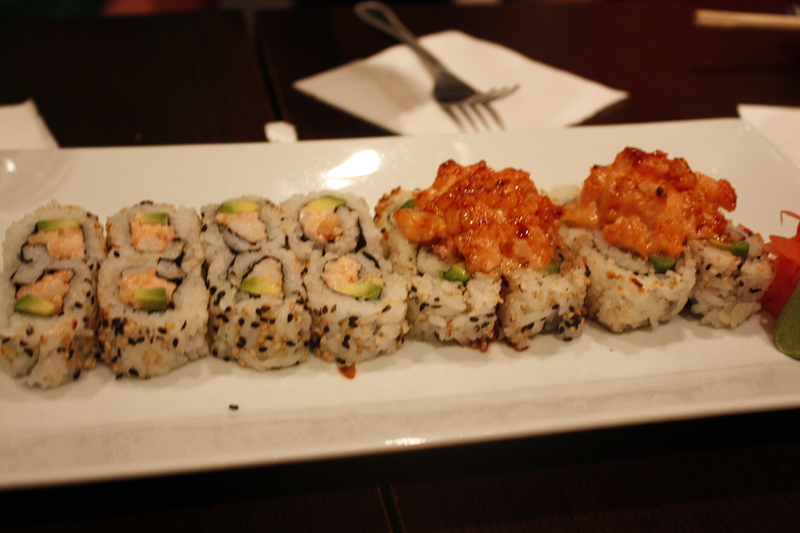 The mix up was immediately ameliorated by the staff with apologies and we wish the rolls stayed with us. We were wowed by the presentation of the sushi rolls and devoured the fresh salmon sashimi, yellowtail, spicy tuna, spicy yellowtail and spider rolls (deep fried soft shell crab, avocado and spicy mayo). They were all so fresh and the fish to rice ratio was in balance. As a result, we cleaned the board. 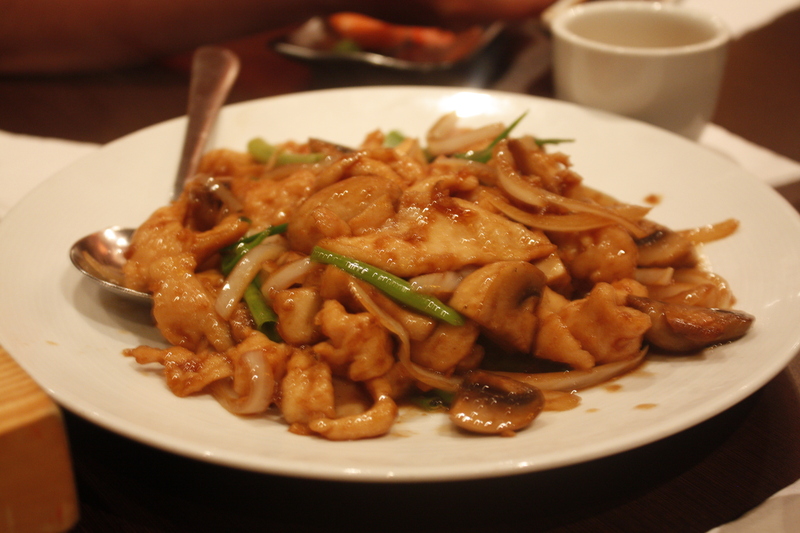 The tender chicken, scallion, onion and mushroom dish ($15.55) was covered in a light sauce. The juicy chicken was served nice at hot.The dish was perfect with steamed white rice. 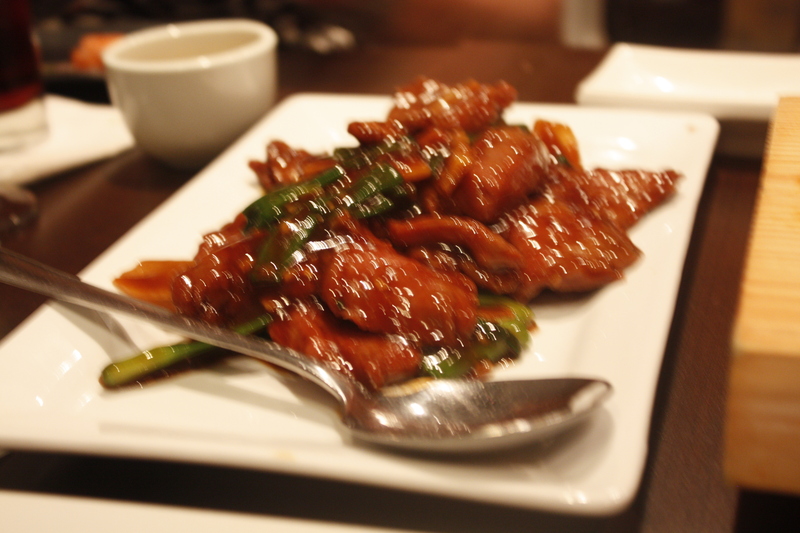 The thinly sliced marinated beef and green scallion was glistening with goodness ($16.90). 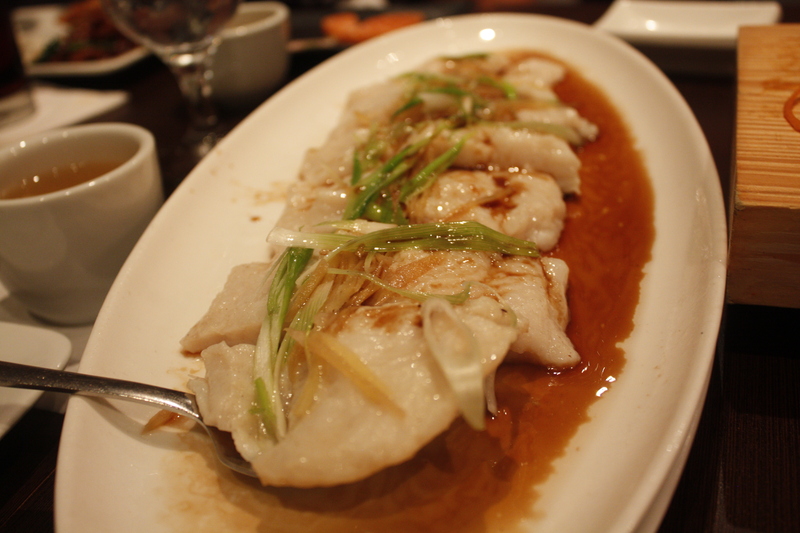 The ginger scallion fish ($20.15) was the table’s absolute favorite. The flakey white fish was well seasoned from the soy and had very enjoyable and traditional Asian flavor from the ginger scallion notes. 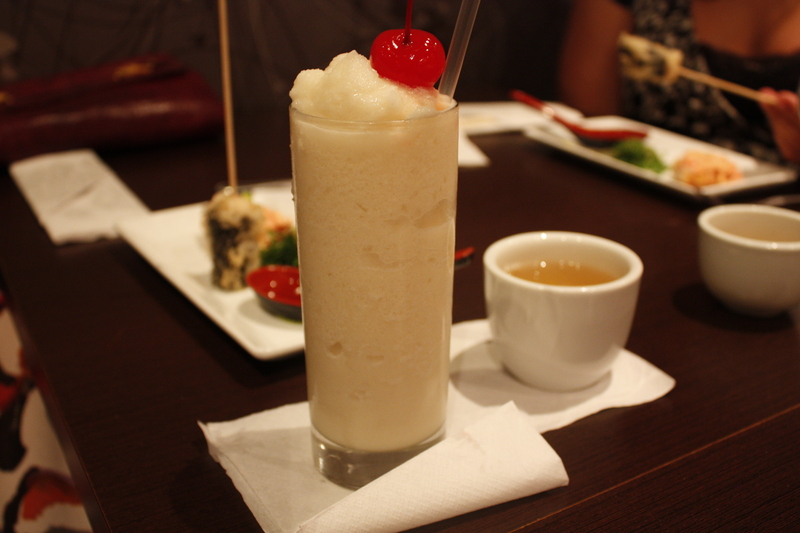 The tasty and well-timed meal would not be complete without the enjoyment of a frozen pina colada. 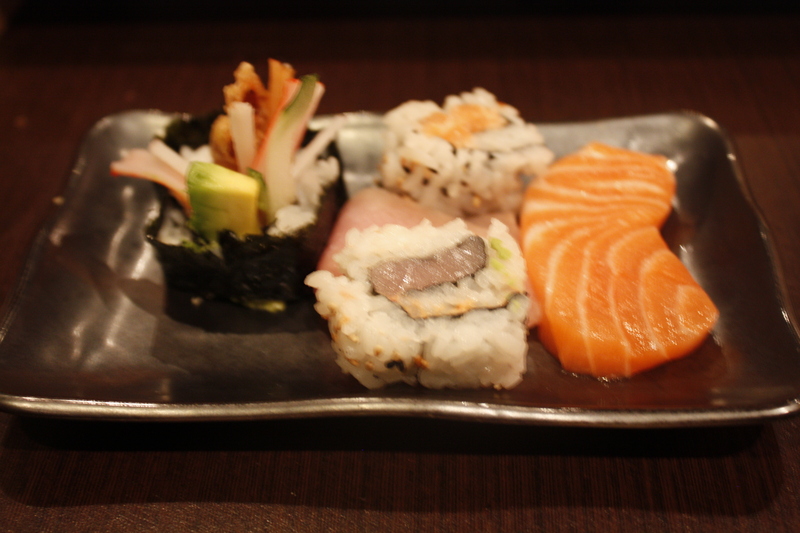 Our experience at Sogo Asian Bistro was stellar. The price points were moderate and our service was attentive and kind. 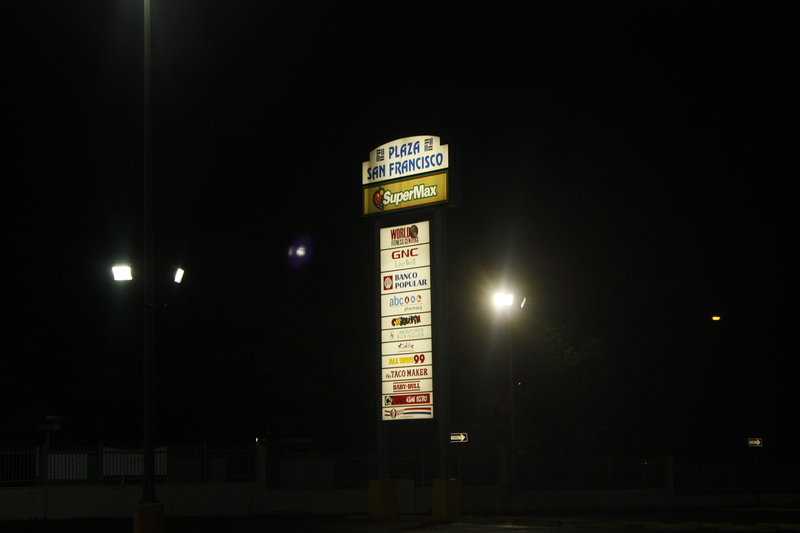 The Sogo experience was a great combination of Puerto Rican warmth and hospitality and nimble Asian execution. i love your blog and the beautiful photos you take. i have blog called Culinary Road Trips Puerto Rico that is about going to restaurants and the tourism adventure my family makes.